Virginia politics fell on a downward spiral this week with the Commonwealth's three leading politicians coming under fire: Gov. Ralph Northam (D) and Attorney General Mark Herring (D) admitted to wearing blackface in the 1980s, and a woman came forward detailing sexual assault allegations against Lt. Gov. Justin Fairfax (D). Many have condemned the officials and called for the resignation of Northam, whose medical school yearbook page features a picture of a man in blackface and another in a KKK robe. Some have characterized the Virginia Democrats as hypocrites, both for putting racial equality at the center of their platforms and for dismissing due process in the midst of sexual assault allegations. Others have said the calls to resign are overly severe and can be attributed to a society that places too high a value on political correctness. Introducing the AllSides Media Bias Chart, which uses scientifically driven ratings to help you identify the bias of the most popular media outlets in America. Check out some other big stories this week: Analysis of 2019 State of the Union Address, Representative Alexandria Ocasio-Cortez Releases Green New Deal Outline, and House Democrats Begin Battle For Trump Tax Returns. "It’s reasonable to guess that other revelations elsewhere, about other public figures with their own histories or photos of offensive, insensitive or racist conduct, may surface in coming days. Each should be judged on its own set of circumstances. In the case of Mr. Northam, the circumstances are decisive; what’s done cannot be undone. He must go." "But here’s what those people fail to understand: every day that Northam, Fairfax and Herring remain in office, the ability of Democrats to call to account an ever more reactionary Republican party is diminished. How can you decry the racism and misogyny of the modern-day Republican party when your own record is marked by the same sins?" 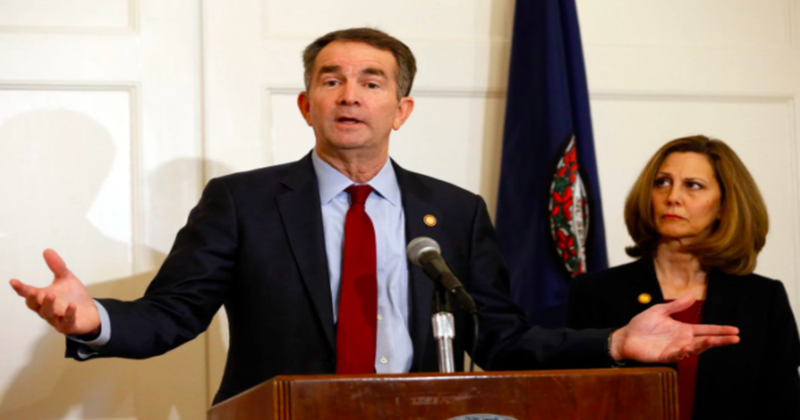 "If anything, Herring’s admission has increased the odds that Northam will refuse to resign, and will finish out his term as a politically hobbled lame duck as his party implodes around him." "Virginia Governor Ralph Northam has denied he was in a racist photo that appeared in his 1984 student yearbook page after initially apologising for it. He also admitted blackening his face to impersonate singer Michael Jackson at an event in the same year." "First, Gov. Ralph Northam admitted wearing blackface in the 1980s. Then, Lt. Gov. Justin Fairfax was accused of sexual assault, which he adamantly denies, stemming from a 2004 encounter. Finally, Attorney General Mark Herring admitted he, too, donned blackface in the 1980s." "The spiraling political crisis in Virginia, which threatens to take out three top state Democrats with racial scandals or sexual assault accusations, poses a stiff test for a party thriving on its growing strength with women and minorities." "For Democrats, racism has become the default charge for any GOP policy they dislike on crime, immigration, education, the environment, you name it. This all-purpose political exploitation of race runs the risk of devaluing outrage against genuine racial affronts. Mr. Northam wants Democrats to show mercy now for errors of his youth, but that isn’t the Democratic Party that made him Governor." "The Left claims to believe in compassion and rehabilitation—and purports to represent the broad working class of America. The more it demands the personal destruction of individuals who committed offensive but symbolic acts, the more hollow these representations appear." "But during the Supreme Court confirmation hearing for Justice Brett Kavanaugh, Democrats made the rules clear. If a woman accuses a powerful man of sexual assault, that accusation should be believed until proven false. In a he-said-she-said case, the powerful man has a motivation to lie, and the accuser does not, or so the theory goes. Therefore, one ought to believe the accuser."